Getting ready for a long haul flight and nervous about how you're going to manage? For those of living in Europe, a long-haul flight is probably not something you are well acustomed to. But here in Australia, the only way for us to get around the world; well most of the world anyways, is to prep ourselves for a very long flight. Whether it be to Europe, America, the UK or anywhere else, Aussies often have to emotionally and physically get themselves prepared to deal with any flight no less than fourteen hours - at least. And, that's only if you're flying to Dubai before changing over to travel a further six to ten hours to get to your final destination. Having travelled a lot to the UK to visit family, I thought I would share some of my top tops on how to deal with a long-haul flight. Of course, I do often break up the flight, by planning an overnight stay after the first leg of the trip. But if I am pressed of time and this isn't an option, there are more than few tips to help you deal with travelling for more than fourteen hours to get your holiday destination. Believe it not, this is actually pretty important and plays a massive part in how your body will deal with a long-haul flight. And, before you ditch the idea of where I am going with this, before knowing where I'm going with this. I'm not referring to hitting the gym every day before travel LOL. Preping your body can range from stretching every morning, going for a regular massage or chiro treatment every week, or even taking an early morning walk every morning before you leave. Blood and oxygen circulation throughout the body is super important for long travel and prepping the body before you live with good flow helps you deal with the cabin pressue of a plane. Meaning, better for your heart and your brain. The massages and chiro treatments will ensure your body is in it's proper alignment and ready for sitting down for long periods of time. Drinking plenty of water whilst on a long-haul flight is super important, but did you also know sitting in prolonged periods in air condioning can deplete your insulin levels, without even breaking a sweat? Well, it can. And energy drinks like Powerade or Gatorade are the best for rebooting these levels. Especially if you like to enjoy the range of free alcohol on the flight. Gin and tonic anyone? So remember to purchase a energy drinks (not a V or Red Bull) before you board to help you manage your hydration levels better on the long flight. When I know I have a long flight planned in a few months (or more) I will stay away from watching any movies, so I can stock up on all the ones I want to watch on a long-haul flight. Otherwise, there is nothing worse than sitting down in a plane, whre you know you will be travelling for more than ten hours, to discover you have watched most of the movies on offer (sigh, if this has ever happened to you). Outside of the inflight entertainment, I also pack a few activities to take on the place, to give my brain and eyes a break from all that technology. Like a real book, a colouring book, a magazine and a pack of cards. This helps to break up your time on the flight, so you aren't just restricted to staring at a screen for more than ten hours or more. This goes for both males and females. Make sure to pack yourself some travel sized skincare products, toothpaste and toothbrush (if one is not provided by the airline for you) to help you feel fresh and clean on your long-haul flight. Air conditioner is a real killer for the skin, and for those of you with sensitive skin (like me) long-haul flights are the worst for creating irritations, like break outs. I always pack an overnight mask, cleanser, night moisturisers and heavy eye creams to help skin stay clean and well hydrated whilst in-flight. Check out my previous blog where I share some of my top travel beauty items. Yes, I am one of those yogis who spends a considerable amount of time during a long-haul flight doing yoag up at the back of the plane. I do this for several reasons. But mostly, I do this as I suffer from major lower back problems and long-haul flights are simply the worst. So, every fews hours I am often found up at the back of the plane stretching and doing certain yoga stretches to help me crack my back, re-align my spine and compensate for any pain without the use of taking any perscription drugs. But, all pain aside stretching for anyone is super benficial for a long-haul flight. If you sit for too long, your blood can clot in certain areas of the body due to the cabin pressure, preventing proper oxygen flow throughout the body. 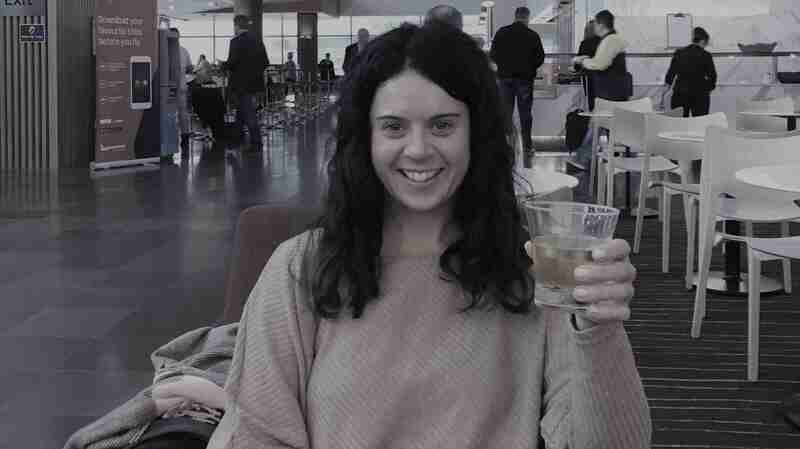 And there you have it - my top tips for dealing with a long-haul flight. Let me know what your tips are, or if you tried any of these and they worked for you. I'd love to hear from you.